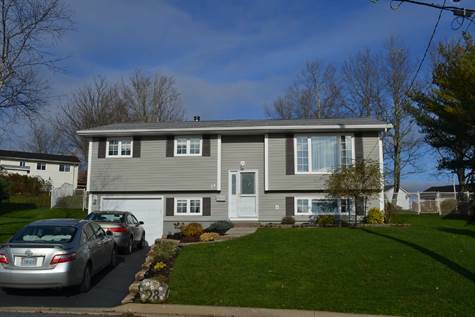 Forest Hills is a wonderful family oriented suburb in Cole Harbour adjacent to & immediately east of the former city boundary of Dartmouth which was originally settled in an area known to the Mi'kmaq as "Boonamoogwaddy" or "Tomcod Ground". The community was later given the English name of Dartmouth in honour of William Legge, 1st Earl of Dartmouth who was a former Secretary of State. By 1752, 53 families consisting of 193 people lived in the community. Dartmouth was initially a saw mill and agricultural outpost of Halifax. However in the mid 19th century, it grew, first with the construction of the Shubenacadie Canal & more importantly with the rise of successful industrial firms such as the Dartmouth Marine Slips, the Starr Manufacturing Company, & the Stairs Ropeworks. Legend has it that previous visitors knew of Cole Harbour, perhaps as a sheltered haven, as a Norse axe was discovered here during the 1800’s. The local native tribe of Mik’maq also were aware of the location, as they identified it as “Wonpaak”, meaning “still water”. In her book “History of the County of Guysborough”, Harriett Cunningham Hart states that the first settlers of Cole Harbour were George Tanner & William West, originating from Lunenburg, NS in 1817. Of course, the Mik’maq community were already known to be familiar with the area. In fact there is a Mik’maq burial site located on what is now a residential property just outside the eastern boundary of Cole Harbour. Legend also has it that during the early days, pirates or privateers had buried treasure inside the harbour entrance. Early residents recalled a group of seamen arrived, & after digging for some time excavated a chest reportedly containing treasure, & leaving a depression in the ground beside a large granite rock to become known as “Money Rock”. Could Cole Harbour be another Oak IslandMystery? A Post Office & a School House were already in existence prior to 1876. The one-room elementary school continued in service until after the late 1950’s, & even served the occasional Gr.10 student, depending on the teacher’s qualifications. 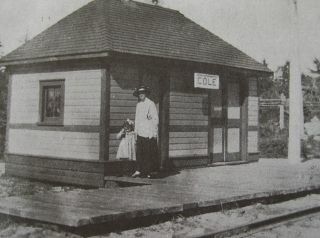 The Post Office moved numerous times over the years, depending on who became postmaster. It usually was kept in the postmaster’s home or business. In the beginning, the economy was typical of the area, inshore fishing & farming. 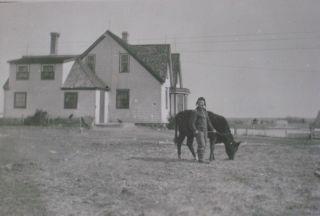 To commemorate the agricultural history of the area, a community museum was created restoring one of the farmsteads, The Cole Harbour Heritage Museum which is owned & operated by the Cole Harbour Rural Heritage Society, a registered charity which relies heavily on community support, volunteers & donations. The collections, at the museum, link the rural past & urban present. Museum collections feature artifacts used by the farming families of this community. The farm operates seasonally with a variety of animals, a tea room, & a wide variety of events for the entire family to enjoy including plant sales, Farmer For A Day, & more. 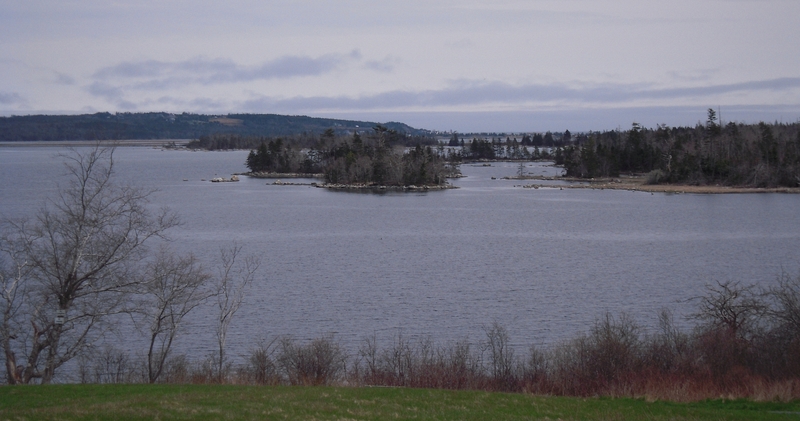 The small parcel of farmland, once part of a 500 acre property, is nestled on a hill overlooking a pond and a well-developed commercial area along Cole Harbour Road. The area was developed into a residential & commercial area in the 1970’s. During World War II, an Air Force Radio Base was established at Cole Harbour on the Queensport Road at the high elevation of the “barrens” about a mile from the north side of the harbour. This base housed about a hundred airmen for several years until the war was over, and was later torn down. Extensive residential and commercial development took place during the 1970s & 1980s following completion of Highway 111 and the widening of Cole Harbour Road. Homes range in age from brand new to those built in the 1970's. In the early 1900s, this section of roadway 207, east of Portland Estates Blvd. to the junction of 328, or Ross road was referred to as the "BreakHeart Hills" which runs through the community of Cole Harbour to Upper Lawrencetown. There are several Metro Transit bus routes connecting Cole Harbour with Dartmouth and Halifax, including MetroLink bus rapid transit service. Until the mid-1980s, CN Rail operated a rail line from Dartmouth to Upper Musquodoboit with part of the route crossing the southern edge of the community. The abandoned rail corridor was converted to a rail trail named the Salt Marsh Trail and is part of the Trans Canada Trail. Throughout Forest Hills, there are a series of interlinking pathways that connect to parklands, to shopping & rec facilities such as Cole Harbour Place. Maps of the Forest Hill Trailways, the Cole Harbour Heritage Trail & The Salt Water Marsh Trail. With these rec facilities as well as 3 popular beaches, Rainbow Haven, Lawrencetown, & Conrad, just minutes away, Forest Hills is obviously popular with those desiring an active lifestyle. Forest Hills is divided by the Forest Hills Parkway, the parkway's intersection with Cole Harbour Road ( Route #207 ) is the centre of Cole Harbour. 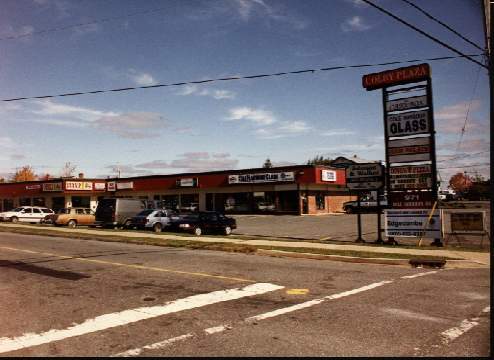 A business district offering a wide variety of amenities & services can be foun along both the Forest Hills Parkway & Cole Harbour Road, as well as the eastern end of Main Street ( Highway 107 ) bordering the north boundary of Forest Hills., making the neighbourhood desireable for those looking for a "walkability factor". These routes make commuting easy for the residential neighbourhoods that border them including Forest Hills ( North of Cole Harbour Road ) & Colby Village ( South of Cole Harbour Rd ). see a marked improvement within your weight. It's the mental picture you've of how you imagine you peer to others. a healthier lifestyle generally speaking and different habits to keep fit.